The Daily Grill – 1480 | The Daily Grill !!! Identify the strategic partner brands in this deal. 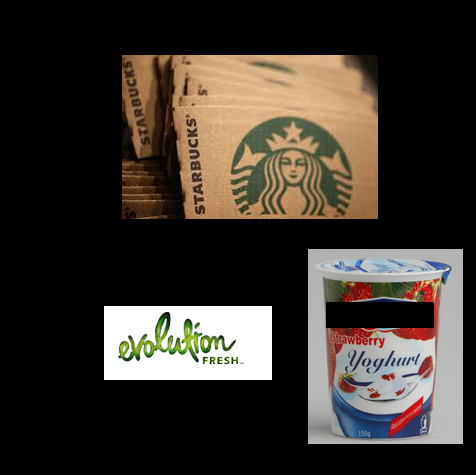 Starbucks & Danone partnership to create Evolution Fresh-branded Greek yogurt. Evolution Fresh is the juice/beverage subsidiary of Starbucks Corporation. Starbucks, Evolution Fresh – which was acquired by Starbucks recently, and Danone Group. Starbucks has entered into a partnership with Danone Group to market a new exclusive line of Greek-style yougurt parfaits in Starbucks stores and grocery channels through its brand – Evolution Fresh.